While Google has struggled mightily in its early efforts to “get the social thing,” it has managed to get more than a few people to try out its latest effort, Google+. But the question of just how compelling the service will be long term remains to be seen. 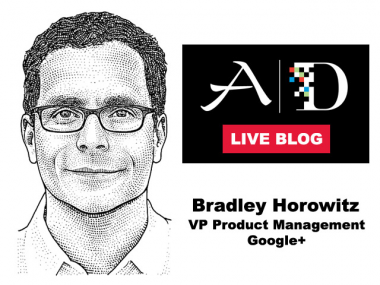 Bradley Horowitz, the project manager for Google+, joins the AsiaD stage to talk about where things are headed. Peter Kafka: So what is Google+? That means it will take longer and be bigger than a typical product. Kafka: The view outside of Google is that it’s the company’s response to Facebook. Horowitz: “There are parts of Google+ that will look very familiar” to people who have used social networks. But other parts are very different, he said. 5:03 pm: Kafka: When will regular people use it? Horowitz, to Peter: Are you a regular person? Horowitz: Well, we have 40 million users; we’ve reached beyond the early adopters. It’s open to everyone now, and that’s only been the case for a couple of weeks. Kafka: But why would you want to? Horowitz talks about Hangouts, the group chatting feature. 5:04 pm: One of the lessons Bradley said Google has learned is that people want different levels of privacy and relations. 5:07 pm: We are just getting started, Horowitz said, adding the project is just getting started. “We have yet to ship the ‘Google,'” which brings the entire company’s products into the service. Horowitz also notes that most Google services actually know relatively little about their users. 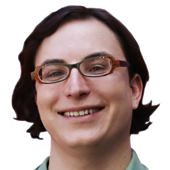 Kafka: Do people really want a different relationship with Google? It needs an incognito mode as well. 5:10 pm: Isn’t setting up Google+ kind of a pain? Horowitz: It was a big gamble on Google’s part, he said. “No one wakes up and says I want to segment my life into circles,” Horowitz said. However, he said that the company put one of its best designers, Andy Hertzfeld (of early Mac fame), on the project. 5:11 pm: What did you do right and wrong with Buzz? Horowitz: Buzz was in the older model of Google, its bottoms-up, let-a-thousand-flowers-bloom mode. Now the company is trying to take its best flowers and make a bouquet. I think we are doing less throwing things at the wall. People are aligning around fewer efforts. It’s a very healthy thing for this company. Horowitz: I think 20 percent time still exists. What does change is a higher bar for what we are going to put to market, sort of an editing function. 5:14 pm: Kafka asks, under that new model, would Google TV have even come to market? 5:15 pm: Expect a lot of social influence on search. Some 20 different projects aimed at making search more related to who is doing the searching. “The opportunity to bring social into search is huge,” Horowitz said. 5:18 pm: About that memo — the Google+ critique that was supposed to be internal that was made public. Kafka: Because it was aired publicly or because it was right? There were elements of validity, he said. But there were also areas where that Google employee, who doesn’t work on Google+, was in the dark, he said. That said, Google is in no rush to build its user base, Horowitz said. 5:22 pm: You are going to allow pseudonyms now. Why? The company wants to open to other groups, including minors and those Google Apps customers that are the businesses actually paying Google money. Brands, too, have been told to wait. “We kicked out Nike and Coca-Cola” not because we didn’t want them, but because we want to do that in the right way. At the same time, Horowitz said, they don’t want to make it too easy for bad actors. 5:25 pm: Kafka: Why did you go from Yahoo to Google? Horowitz: I was going to become a venture capitalist. “They (Google) sort of talked me off the ledge,” Horowitz said. Every myth you hear about Google is grounded in reality, both good and bad. Within weeks it was clear to me why they were as successful as they are. 5:27 pm: How would you fix Yahoo? Kafka: You are kind of qualified. Horowitz said he actually was talking with some other ex-Googlers and they noted that Yahoo is not actually a struggling company. They have brand and market position. “What’s missing is relevance.” They need to hire good people and take some risks. It would be a shame if the strategy is just milking the current audience, he said. 5:29 pm: Q and A. What about Google+ as a platform? Horowitz: We have thought about platform from the inception. It’s not an afterthought. This has been part of the strategy from Day One. I don’t think it means hand-curation and approval processes. Another audience question. Sure, but where is the Google API? When are we going to see it actually be a platform? There’s a lot on the agenda, including letting in Google Apps customers, minors and those using pseudonyms in addition to opening it up more to developers. All are on the agenda, he said. Horowitz said that is part of why the company is focusing more. “We would rather do fewer things well than tend to a thousand flowers with equal attention,” he said. 5:37 pm: Kafka: Is this all Larry’s influence? So who is using Google+? Horowitz said they aren’t going into detail, but there are 41 supported languages. “There’s a higher concentration in the U.S.” Trying to get local content, including a popular Hong Kong pop singer.